Tina and Amir who secured first and second positions in the civil services examination in 2015 met during a training in Mussoorie. It was love at first sight. This is their story. 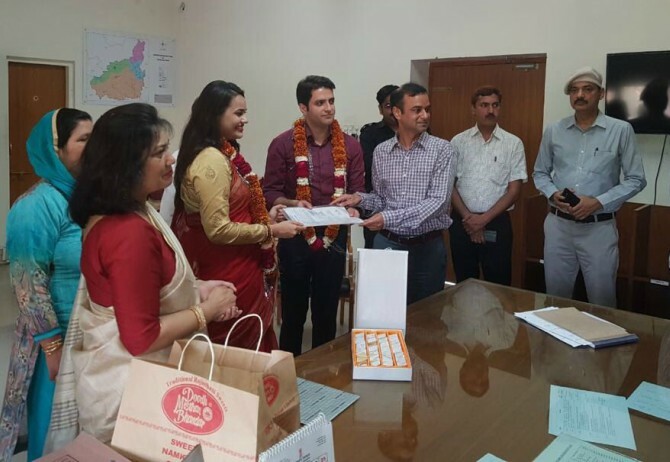 "Athar and I got married on 20th March in Jaipur by Collector Shri Siddharth Mahajan. "Then we planned two wedding celebrations. The Kashmir celebration happened recently. "The Delhi wedding celebration will be held on 14th April," Tina Dabi wrote on Twitter. 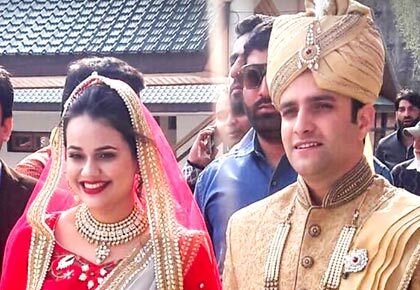 IAS officer Tina Dabi, who topped the UPSC's civil services examination in 2015 has tied the knot with her Kashmiri batch-mate Amir Athar Amirul Shafi Khan, who secured the second rank in the prestigious examination the same year. 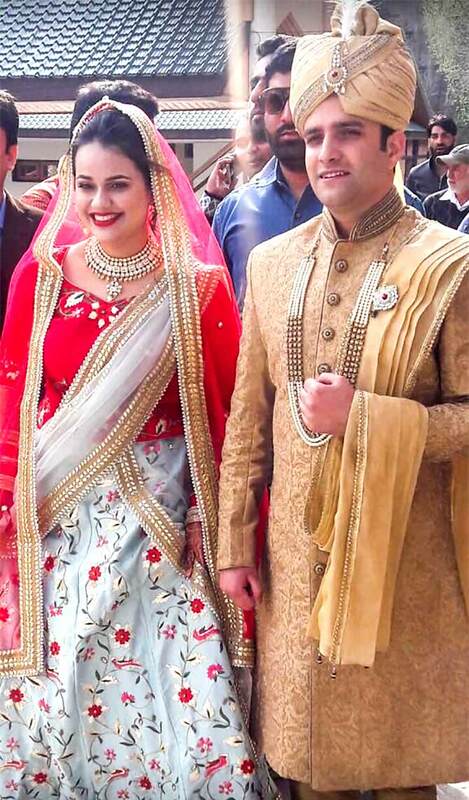 The two young IAS officers got married at a ceremony in the picturesque Pahalgam town on April 8. Cupid had struck the two officers reportedly during training at Lal Bahadur Shastri National Academy for Administration in Mussoorie. The proximity between the two came to light when they posted a picture on social media a year ago. 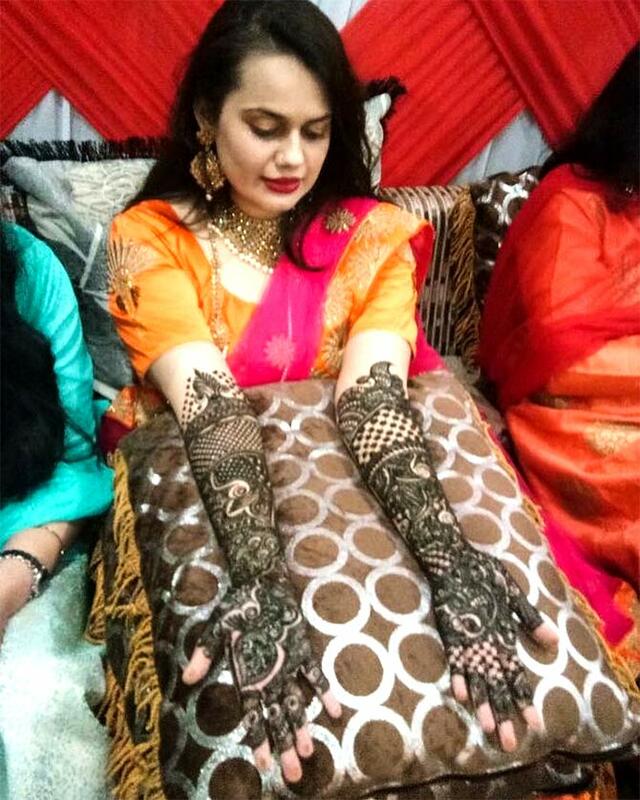 Tina Dabi shows off her mehndi. Tina who'd hit headlines for being the first female Dalit candidate to top the exam became the subject of trolls and criticism for dating a Kashmiri Muslim. "I get very disturbed when I read stuff about us. We have stopped googling our names and reading news about ourselves. I think it is a small price to pay for being in the public eye," she told the media. An unfazed Tina continued to post updates about their relationship, career journey and time together. "As any freethinking independent woman I am entitled to certain choices. I am very happy with my choice and so is Aamir. Our parents are happy too. But there will always be those elements, that small minority who will always pass negative comments about dating someone from another religion. It is just that 5 per cent. The majority are very happy. You would have seen in my Facebook timeline that most of the comments are encouraging. In fact, I am overwhelmed by the support and congratulatory messages. I thought 'yeh to achcha hai” (this is good. )," she told The Times of India in 2016. Tina Dabi shared this photograph on Twitter and wrote: Court marriage at Jaipur. Pictures of their wedding invitation card and wedding reception were widely shared on social media. Family and friends of the couple attended the wedding ceremony which was held at a hotel in Pahalgam in south Kashmir's Anantnag District. Khan hails from Devipora village in Mattan area of Anantnag while Dabi is from Delhi.